Tuesday, April 16, 2019, Media men invited by the Ogun state government to a ‘’World Press Conference’’ announcing the flag off of this year’s edition of Drum Festival. 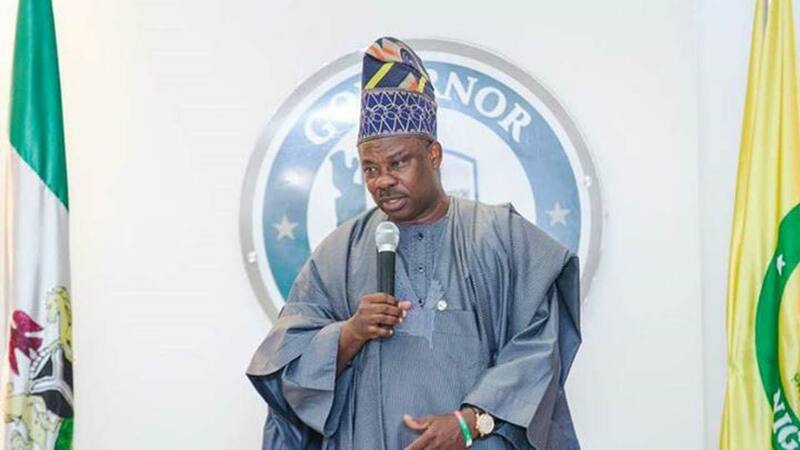 ‘’Lazy journalists, look at the kind of questions you are asking me’’ Governor Amosun lashed out at a media man who asked a question about the economic gains of the festival as relates to people of the grass root. Interestingly, the Governor went on to answer the question while through in the insult ‘’you don’t do research’’. ‘’Brainless!’’ Amosun hit hard at another journalist and directed another media who asked for the budget of the event scheduled to kick off next week to go back to ‘’whoever sent him here’’. Inferring that the particular journalist is an agent of his opponents, Amosun told him to go back and tell his principals that ‘’I am fully prepared and on the ground’’. The World Press Conference reportedly was reportedly populated with Amosun’s snide remarks and outright abuse of his ‘’political opponents’’, especially his predecessor (Gbenga Daniel) and the incoming governor (Dapo Abiodun). The governor reportedly rebuffed the attempt by Secretary to the State Government Taiwo Adeoluwa to caution him and plead for the focus of his speech to be about the Drum Festival. Societynow.ng learned that the World Press Conference held at in state capital, Abeokuta at the government facility known as Mitros.